Award-winning, Grade 1 Listed gardens at Iford Manor, designed by Harold Peto. 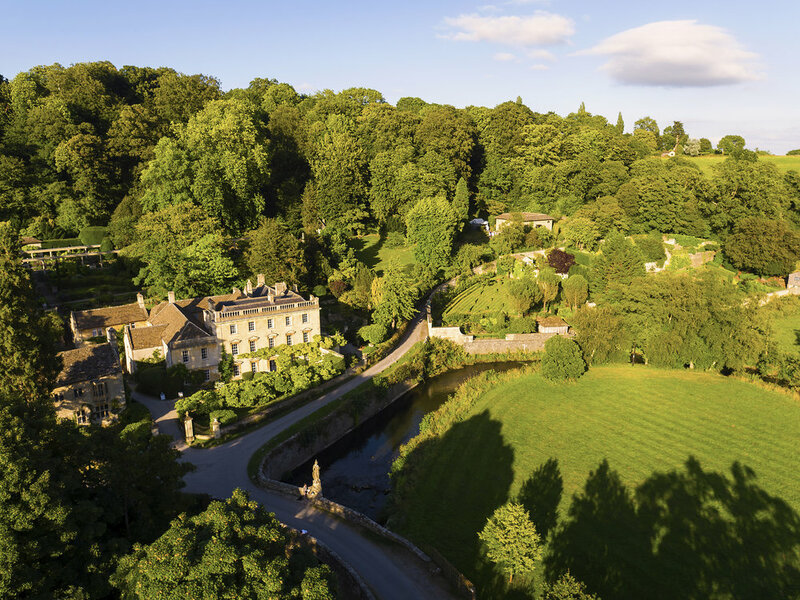 Iford Manor and its famous 2.5 acres of historic gardens sit at the heart of the idyllic Frome River valley accessed by narrow lanes (with passing places). The Grade-1 listed gardens were designed by Harold Peto during his tenure at Iford from 1899-1933, and represent one of the finest examples of steeply terraced hillside gardening in the UK. They are characterised by colonnades, pools and steps, and offer magnificent rural views over the valley. Please note that the garden contains many steep, narrow and uneven paths, as well as long flights of steps without handrails. Whilst this is very much part of the garden's charm and design, we recommend that those with accessibility needs call ahead of their visit. Please do not bring buggies into the garden as you will find your visit challenging and the historic fabric of the garden is likely to be damaged. Groups and coaches by appointment only. Please e-mail us on info@ifordmanor.co.uk to arrange. Well behaved dogs on leads are most welcome to visit the garden. Children are welcome in the garden but must be closely supervised at all times due to many dangers and hidden hazards (including unfenced ponds and hidden drops) in the garden. Picnics, running and ballgames are not permitted in the garden. We request that all visitors respect the peace and tranquillity of the garden during their visit for the benefit of other garden users.